POLICY STATEMENT: The Central Viera Community Association, Inc. (CVCA) recognizes the need for community members to have an opportunity for individuals, families and organizations to memorialize an outstanding achievement or the memory of a loved one through the planting of trees or the placement of memorial benches for the entire community to use and enjoy. POLICY/PROCEDURE: This policy was developed to provide a coordinated and consistent approach for accepting and processing memorial requests. Anyone submitting an application for a memorial item acknowledges and recognizes that the CVCA Board of Directors may approve or disapprove any request at its sole discretion. This policy is limited to only those common area properties owned and managed by CVCA. The purchase and dedication of any and all memorials will be funded by private individuals or groups. Memorials representing or depicting a commercial advertisement will not be permitted. Engraving on all memorial items are limited to a maximum of 4 lines and 15 characters per line. CVCA will have final approval of the wording for the engraving on the memorial. All payments for the purchase of a memorial must be made to CVCA prior to ordering and installation of the memorial. All memorials will be installed by a qualified contractor selected by CVCA. CVCA will not be responsible for the repair or replacement of any memorial. The purchaser of the memorial releases CVCA of all responsibility for repairs and/or replacement of memorial. The purchaser of the memorial assumes full responsibility for the cost of any and all repairs or replacement, if necessary. CVCA has final approval of requested memorial and location of the memorial. When determining the approval of a memorial, CVCA will consider proximity to homes, lines of sight, distance to other memorials, safety, maintenance and existing landscaping. 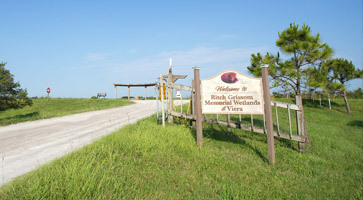 CVCA, at its own discretion, may limit the total number of any type of memorial on CVCA property. CVCA will work with purchaser to select an appropriate tree from the recommended tree list. Recommended trees may vary from location to location. The tree must be a 30-gallon size with a minimum height of 6 feet. The location of the tree must be approved by CVCA. Ideal locations for memorial trees include parks, trails and other areas where the tree can be seen and enjoyed by the entire community. Memorial trees will not be planted on private residential property or any location that may violate federal, state or local laws/rules regarding tree installation. See Exhibit “B” for recommended locations. The date/time of planting must be coordinated with CVCA to ensure the optimal planting season for the selected tree. Invasive or exotic species will not be considered. Please refer to Exhibit “A” for recommended tree list. Trees on the recommended list may not be appropriate for every location. Tree selection must be coordinated with and approved by CVCA. See policy above regarding tree/location selection. Marker shall be granite (10”x8”x4”) and set into the ground next to the memorial tree. Purchaser to coordinate with CVCA to select an existing CVCA tree to designate as a memorial tree. A bench of CVCA’s choosing (style and color) may be purchased with a bronze plaque (4”x6”). Depending upon the style/location of bench, plaque may be set into a concrete footing or may be attached to the bench. The determination of the need for a concrete footing/slab shall be determined by CVCA in its sole discretion. 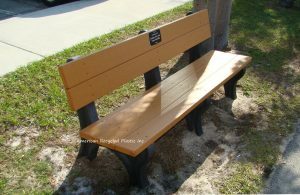 A memorial bench will only be considered in locations where benches are scheduled to be replaced or where new benches are contemplated by CVCA.